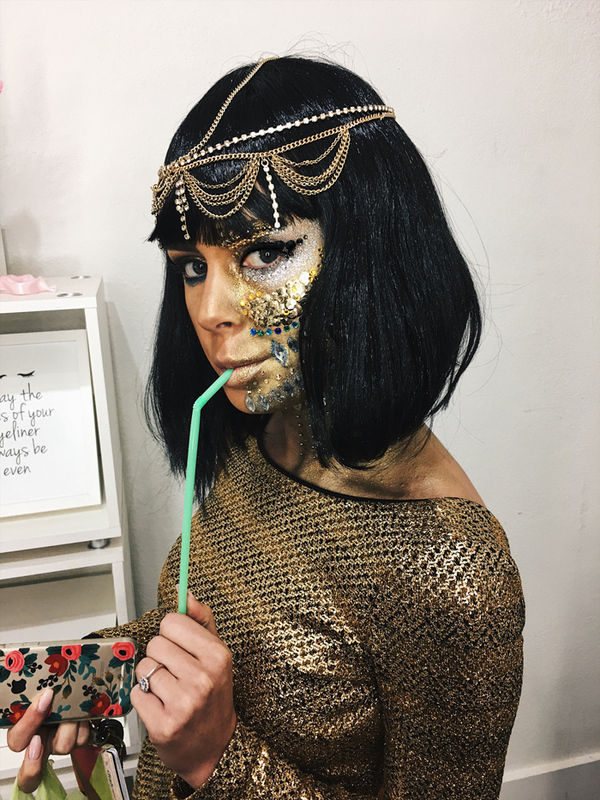 Need a last minute costume, but don’t want to look like it was last minute? And of course need a candid. Madison is so beautiful. One of my favorite faces. 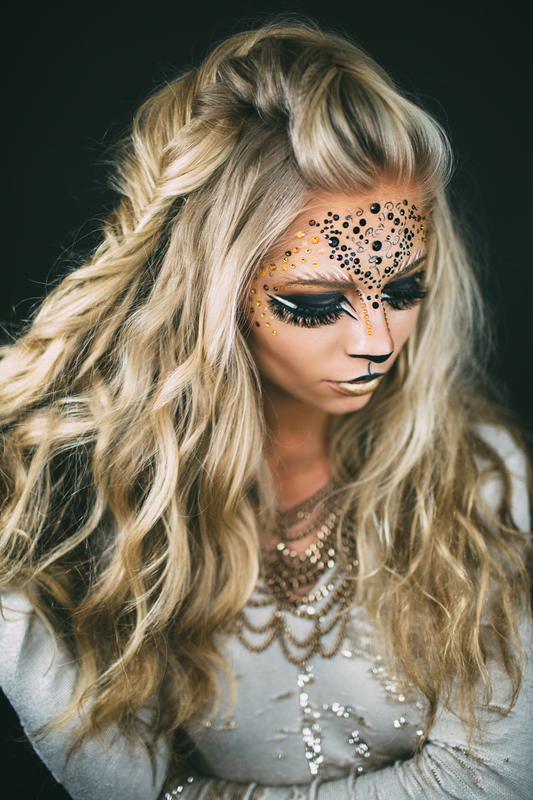 In the spirit of Halloween I bring to you the Queen of the Jungle! The best and cheapest/most convenient crystals I found here. And use a dot of adhesive then lay the stone right on top. 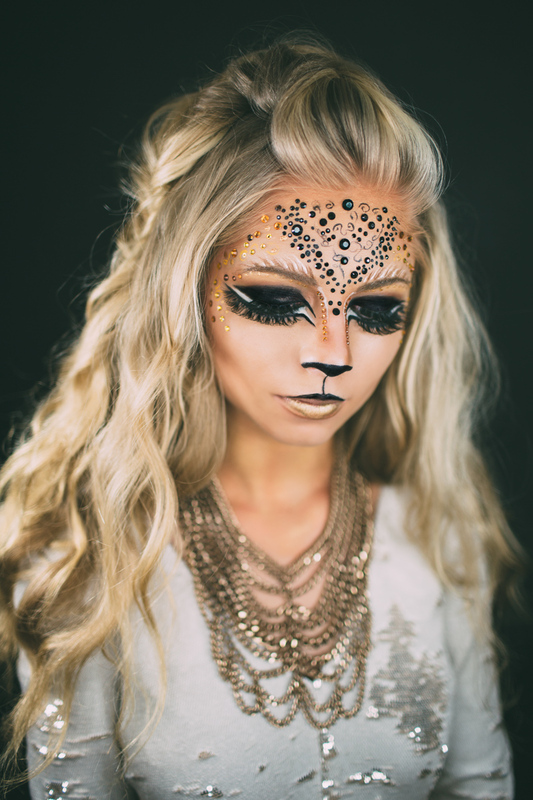 I love this lion halloween makeup look! This flamingo makeup was inspired by Jessa’s love for flamingo’s 🙂 I loved this halloween flamingo makeup look on her that we did last year. And you can just use the edge of a sheet of paper to create a straight line. 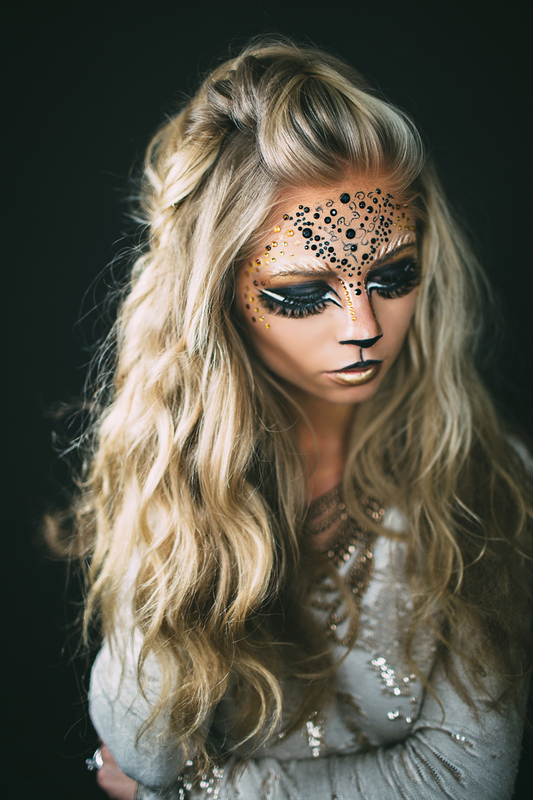 As far as Halloween makeup goes, I feel like this is a pretty easy look to do. I wanted to do a different spin on the typical flamingo makeup look. It’s like a coachella styled flamingo haha. 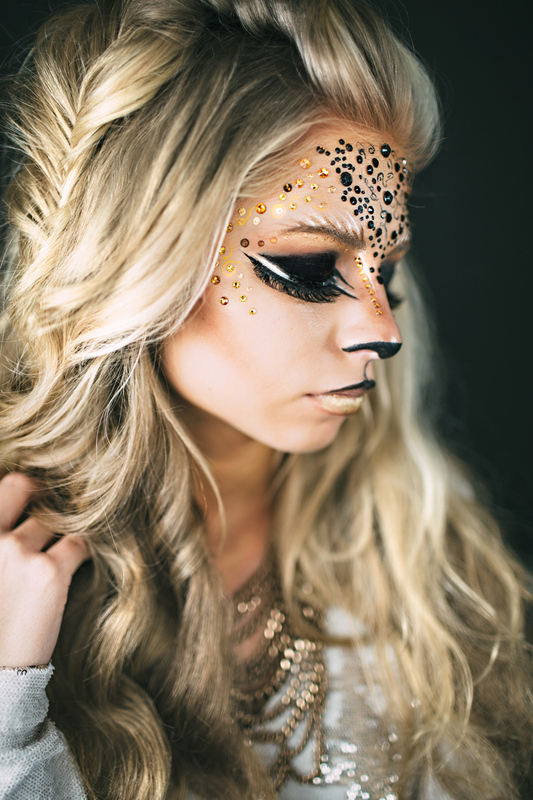 Jessa’s gorgeous and halloween makeup is so fun to do.